Understanding English is a series of books designed to reinforce skills and knowledge at Key Stage 2 of the National Curriculum. Each book focuses on a particular aspect of literacy with explanations and teaching points, exercises, answers section and 'Now you try!' extension activities to ensure that learning is really secure. Poetry expresses thoughts and feelings and describes things so vividly that you almost see them. This book looks closely at the features that make poetry so special, such as rhyme, rhythm, sound effects and imagery. Funny poems, narrative poems - these and more are included. Lively writing activities provide an easy springboard to poems that will make a real splash! 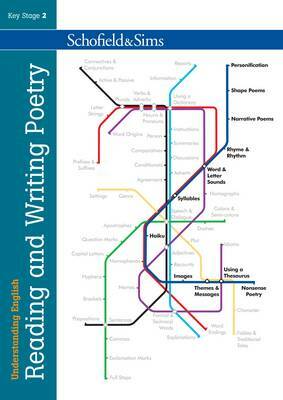 The Reading and Writing Poetry book includes: writing a poem with rhythm, different types of rhyme, alliteration, similes and metaphors, personification, nonsense poetry, haiku, shape poems and narrative poems.